You may have forgotten your password, or simply want to change it. Go to the forgot password page to send a password reset request. 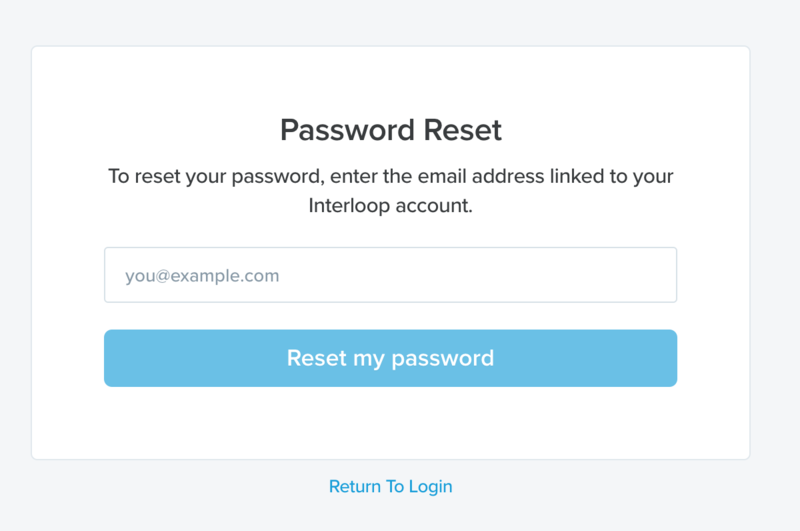 Enter your email address that is used to log into Interloop and you will be sent a password reset email with instructions on how to reset your password. Use the direct password change form on the user preferences page. In the change password section, fill out what you would like your new password to be, confirm your password selection and click the update button.